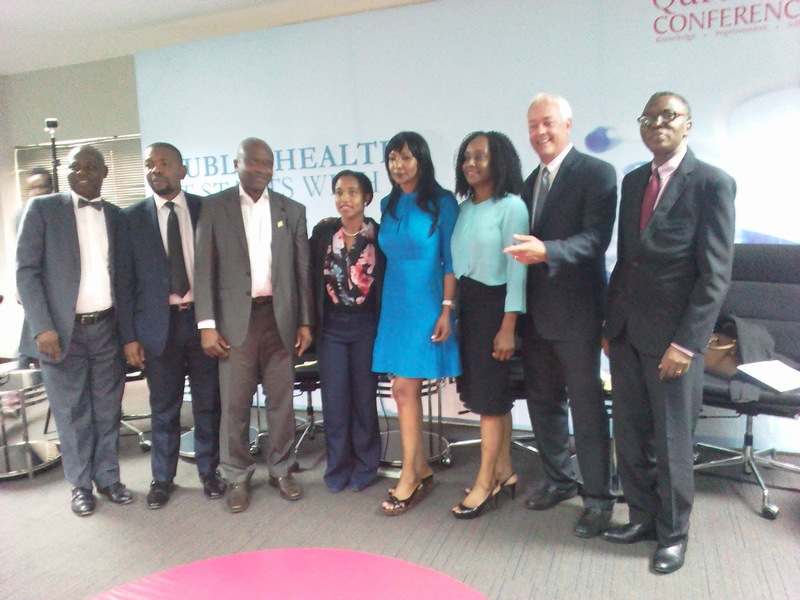 In celebration of its third year anniversary since the conquer of Ebola in Lagos State in 2014, the Dr. Ameyo Stella Adadevoh (DRASA) HealthTrust has set up a team of stakeholders from Liberia and the United States to begin the process of designing a simulation training programme for infectious diseases and prevent epidemic outbreak. The team of six stakeholders at the conference in VI Lagos included: the Commissioner for Health, Dr. Jide Idris; Executive Director, Partnerships Public Health and Scientific Affairs, Merck & Co. Inc, Dr Joan Benson; Vice Dean and Director, Centre For Global Health/Prof Of Pathology and Laboratory Medicine, Perelman School Of Medicine, Uni Of Pennsylvania, Dr Glen Gaulton; Director, Hygeia Nig. Ltd.& Director For West Africa Investments, Investment Funds For Health In Africa (IFHA) Mrs. Fola Laoye. Others are: Founder and CEO, Merit Healthcare Ltd, Dr Lolu Ojo; Senior Health Specialist, International Finance Corporation (IFC)/World Bank, Dr Olumide Okunola, and Professor of Public Health and Consultant Community Physician, LASUCOM, Visiting Professor, Dept Of Community Medicine, College Of Medicine, University Of Ibadan, Prof Muyiwa Odusanya. “Today’s conference in partnership with Quramo Conferences was set up to have discussion to have a very important topic on preparedness because we know there will be another outbreak some time in the future. It doesn’t have to be Ebola, it could be fever, meningitis or Zika. There are so many things out there. So, we want to help ensure that collectively we are prepared for what might come next,” Dr Ama Adadevoh, Deputy Manager of DRASA, said. On what can prevent any outbreak, the Doctor said several factors could be considered such as general infection, control and practices and policies awareness plus education if the public, the health workers have to be trained and the facilities have to be equipped. Meanwhile, Adadevoh called private sectors to partner with the government, Adadevoh continued: “We have sat with people like Dr. Jide Idris to say we are here to help. We want to help. But you have to tell us what help you need. We can’t do it all. Although we want to do something, government will guide us through that process because it is leading. They can point towards the direction band we will help within our own resources to do the best we can. 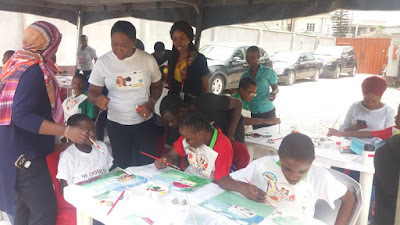 Now, while DRASA HealthTrust was set up in memory of my sister who was one of doctors that help contain the Ebola outbreak we had in Lagos in 2014, it's main project is to develop a training programme to help ensure people in the health sector can identify, manage, treat and contain deadly pathogens to prevent outbreak. Therefore, the Foundation is bent on combating any epidemic that may arise in the future, as it urges everyone to continue practices hand washing exercises daily to prevent any infection.